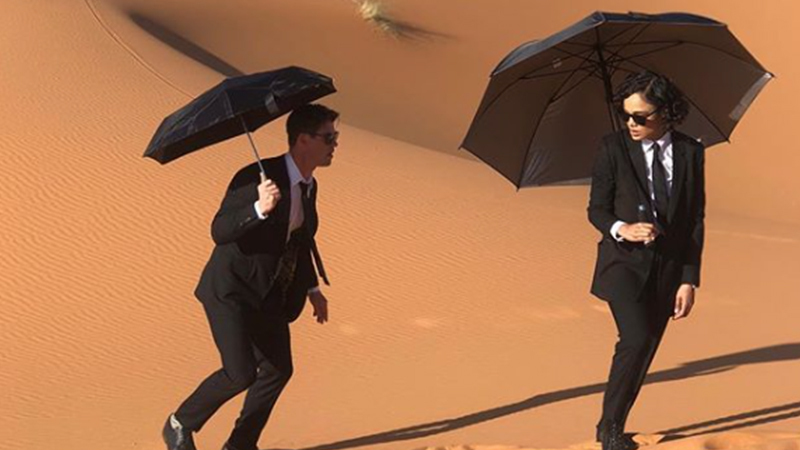 Men in Black star Tessa Thompson has revealed another official look at the film via her Instagram page, which sees her and her co-star, Chris Hemsworth, traversing a desert with … umbrellas. Check out the official post below! Joining the Thor Ragnarok co-stars is a large ensemble that features Rebecca Ferguson (Mission: Impossible Fallout), Emma Thompson (Sense and Sensibility, Howards End), Liam Neeson (Taken series), Kumail Nanjiani (Silicon Valley, The Big Sick) and Rafe Spall (The Big Short, Life of Pi). 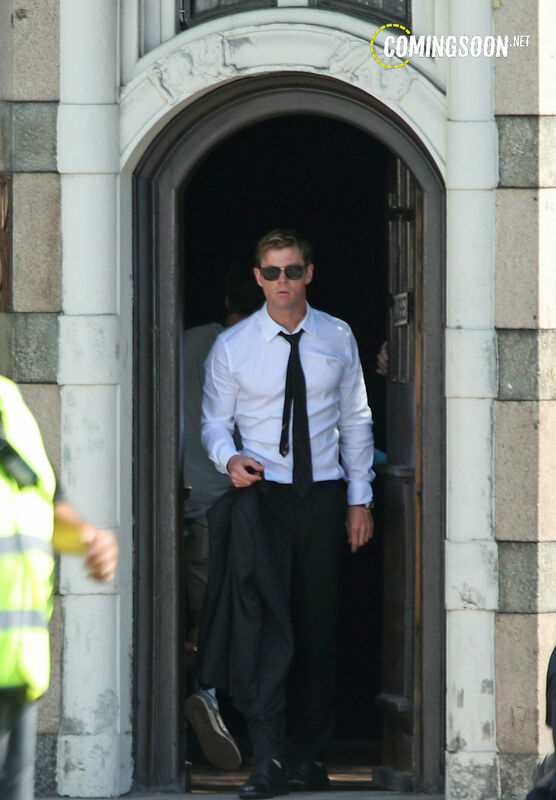 Production is already underway on the new film (see more set photos here). The Men in Black spinoff film is set to be directed by F. Gary Gray (Straight Outta Compton, The Fate of the Furious) and is been written by Matt Holloway & Art Marcum (Iron Man, Transformers: The Last Knight). Original franchise producers Walter Parkes and Laurie MacDonald are back along with executive producer Steven Spielberg. Production is underway on the film in London. Look for the new Men in Black movie to arrive in theaters on June 14, 2019.